If you’ve ever wanted to visit your sponsor child, but wondered whether it is worth the money, David Chalmers’ new book, “Go into all the World,” just might convince you to take the leap. It’s the oft-debated question among sponsors: do I use my resources to sponsor more children and send more gifts or to visit my children in person? The stories recounted in this book show how a visit really allows you to be the hands and feet of Jesus. In his book, David shares his adventures in visiting his sponsored children throughout Central and South America and the Philippines. He describes the highs and the lows of meeting your children in person, from the beauty of a child trusting you so fully that she falls asleep in your arms to the harsh realities of some very difficult situations in which he finds his children living. In discussing a visit to one of his children’s homes, David writes: “It’s times like that when I fully grasp the significance and impact of a sponsor. God is using me to literally be a father to the fatherless, to give Laura words of encouragement, which she doesn’t necessarily get from anywhere else.” But it’s not all serious, heart-wrenching moments. Well, a lot of it is, because it’s God working on and through a man as he travels great distances to shower his children in love. But David also shares lots of tales of fun and laughter as he celebrates his birthday at a Compassion project, plays the drums for the children every chance he gets and introduces everyone to Australian football, or “kicking the footy.” (I think that’s the right phrase!) David is a humble and caring man, who at one point sponsored as many as 50 children through Compassion. Most recently, he spent a year in the Philippines working at an orphanage, and now he is back home in Australia, where he is a teacher. You can learn more about David by visiting his blog by clicking here. 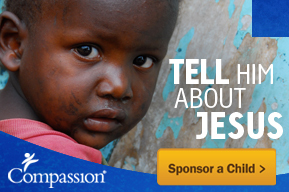 You’ll get a thorough review of Compassion’s sponsorship program in reading this book. I highly recommend it. “Go into all the World,” can be purchased by clicking here, here, here or here. David describes a sponsor’s role quite well when he writes: “The one thing I can tell you after visiting so many of my kids is that in my own strength I alone am completely inadequate for the job of releasing children from poverty in Jesus’ name. It is God alone who can release them and give them joy, hope, freedom and an opportunity to dream, despite their circumstances. I am merely an instrument he is using to show these precious people his love for them. There is nothing I’d rather be doing.” Read “Go into all the World,” and maybe you, too, can become God’s instrument in showing His love to His children. This entry was posted in Books, Compassion International and tagged "Go into all the World", child visit, Compassion, David Chalmers, sponsorship.